Interview with Ed Dieckmann well-known Dutch Beatles collector. Ed Dieckmann is a well-known person in the Beatles world. He wrote two books about the band and their solo careers of which one is a reference work about George Harrison and the other is the famous "The Beatles Made In Holland”, in which the Dutch discography is analysed in depth. Furthermore, Ed has been a well-appraised source of information for our worldwide discography project. At this moment, he is working on an update of his “Made In Holland” book, a good reason to visit him and to take a dive into the impressive Beatles-archive that he has established over the years. 1. A lot of people know you by your standard work "The Beatles Made In Holland". Is that the reason why you collect Dutch Beatles releases only? No, certainly not. I am one of those die-hard collectors who wanted to have everything the band has ever released on vinyl. But soon, this appeared to be impossible. That’s why I have put the accent on Dutch releases. To all Beatles related stuff and solo releases, I have put a stop for the moment. Except for the Dark Horse releases of Harrison, about which I have written a book. 2. What are the frontiers of your collection? Everything from everywhere to nowhere: As from 1970-71, I started collecting all sorts of things from The Beatles. I also looked for every newspaper article about the band and pasted them in books, who now enables me to have a nice illustrated overview from their career and gives me first hand information right away. Furthermore, I have some genuine Beatles memorabilia. When Ed was 6, he received the single "Twist And Shout" as a gift and from that moment on, he became fascinated by the Beatles. His uncle could buy cheap singles at the army and brought them to Ed. From 1973 he started to buy Beatles vinyl in a “serious” way. An excellent timing, because in those days, the attention for the band faded due to the growing success of disco and that gave Ed the opportunity to buy lots of stuff at reasonable prices. It was only after John Lennons death in 1980, that people realized that Beatles items were valuable and the prices increased. 3. How big is your collection and how do you preserve them? Everything I buy is registered into an Excel-sheet: that’s how I keep track. The records are classified by country in shelves. It’s a pity that I deal with a severe lack of space, something that most collectors experience. At this moment I have about 3000 singles, 3500 albums and a lot of memorabilia, stored in only one small room. And it keeps on coming. Besides the intake of records, I follow the philosophy that nothing leaves if I don’t have it double. Among the fascinating collection of memorabilia, we find valuable items like dolls, Dutch Beatles glasses, lunch boxes, dresses, original tour books (from the Blokker concert) and a complete set of autographs from that same concert, where Ringo, who was ill, was replaced by Jimmie Nicol. 4. Do you often listen to the records you collect? 5. What do you consider to be the finest piece in your collection? Well, that must be the four acetates of Jackie Lomax (Beatles related artist on the Apple label) of which two songs were never released. One is a German version of "How The Web was Woven" and on the other one, a demo of a later song can be heard. 6. After 30 years of collecting, are you still searching for the Holy Grale, the One record you still want…? Yes I am. I’m still looking for the Dutch release of "She loves You" with misprinted label. Apparently, one has mistakenly mixed the label of Billy J. Kramer with "Bad To Me" on the A side of the record. 7. What is your all time favourite song? The Beatles with Happiness Is A Warm Gun (only released on single in Finland and very hard to find). 8. Besides collecting music, you also play music…? 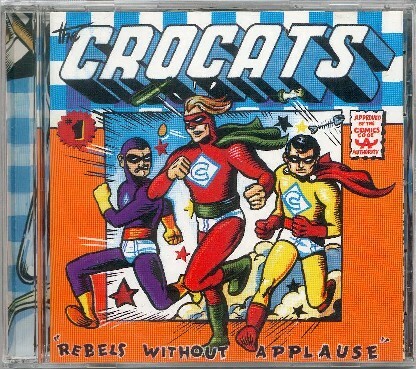 Indeed, I played lead guitar in the rockabilly band The Crocats. We even released some CD’s, an LP and a single. At this moment, I am playing solo guitar in a blues band, but it remains a hobby. 9. You’re also working on an update of your book "The Beatles Made In Holland": when do you expect to be ready? This release of "Made In Holland" will be much more detailed than the previous version. It is better illustrated and we are more focused on details. Besides all sleeves and label variations, we’ll discuss also cover versions and related stuff. The book includes the whole Beatles era, from the very first single until the final one, the "Let it Be Naked bonus disk" which is indeed a Dutch pressing. I want it to be released next year. 10. At the end of our interview, we ask every collector to make his “Top 5 want list”. I you want to get rid of one of the following items, please sent us an e-mail. Ed would be very grateful. Serving Beatles collectors worldwide since 1984!